Hope Engaged: Back to the basics, a new job and give-away winner!! Back to the basics, a new job and give-away winner!! I've always been a magnet towards bright colorful patterned clothing. That yellow top with flowers on it…yes please! But amidst all my cheerful and chipper clothing, I somehow always found myself gravitating towards the same white shirt, grey sweater, and jeans. Even though patterns appeal to me, I feel most stylish when i'm wearing good neutrals and can accessorize with jewelry. 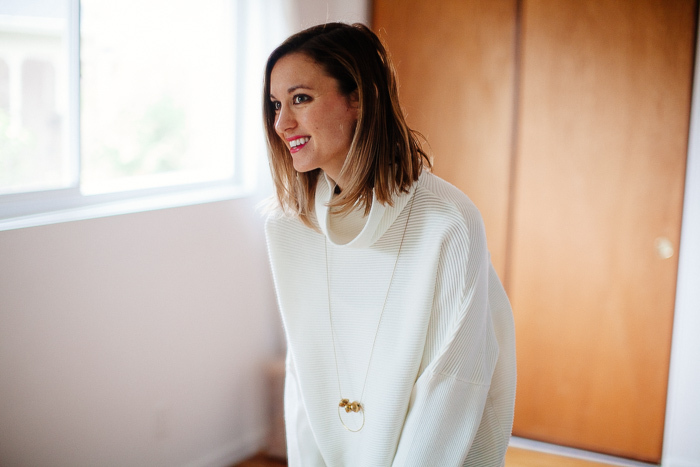 I'm starting to put into practice something i've known for a while… that purchasing really good basics can go a long way in our wardrobe. I think that's kind of the idea of a capsule wardrobe, that you can have a small amount of good pieces and then mix and match. 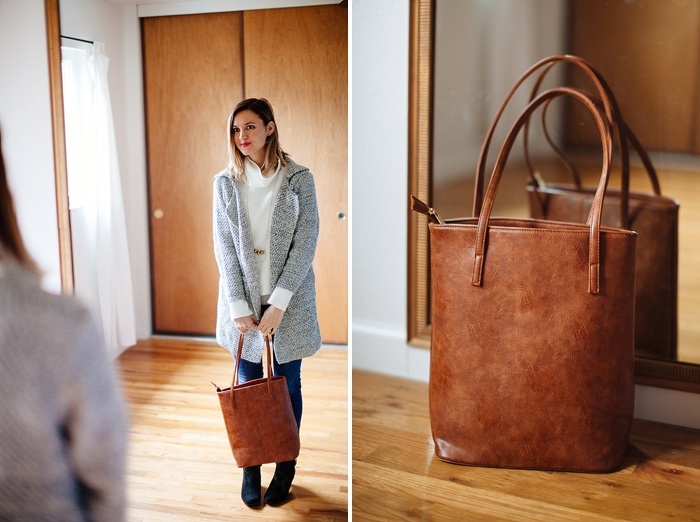 Have any of you done a capsule wardrobe? I'd love to hear how the process went! 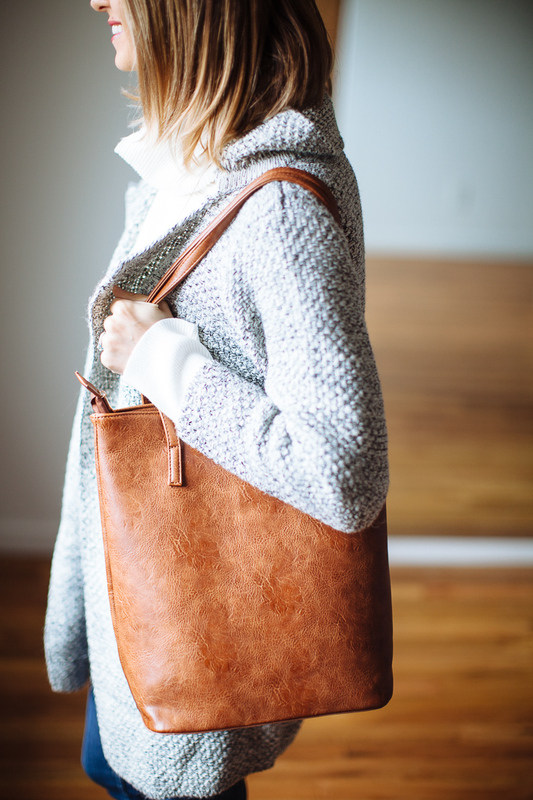 A few pieces i've found lately that I'm loving are this white sweater, this grey coat, and this gorgeous tan bag. And, as some exciting news, I got a job. I am so excited to start working as a counselor again, and feel very grateful for this opportunity. Thanks for those of you who have been praying for me!! Andrea Rake, you won the give-away!! Email me your address and i'll get that box of 100% Pure goodies to you asap!! And of course all my jewelry comes from sweet Meredith's shop, seriously love Wildflower Roots!